My Alarm Clock turns your Mac into a BEDSIDE CLOCK with gorgeous themes and current weather information, an ALARM CLOCK that sings your favorite tunes, and a SLEEP TIMER that lulls you to sleep at night! 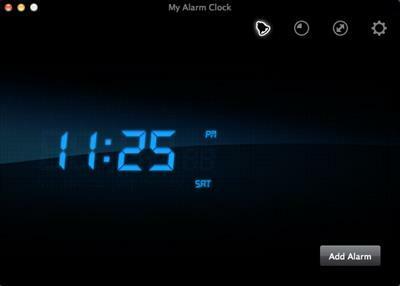 * Multiple alarm support: you'll never oversleep or miss an important event! * Convenient application settings: get easy access to any option you need!